When it comes to keeping your lawn and landscape safe, healthy, and thriving, Fertilization & Weed control are the first things that come to mind. But do you know how to properly employ such strategies without harming the soil, the plants, and the environment? Do you know that the use of chemicals is not recommended in summer – when weeds attack the most – because you risk damaging the lawn beyond repair? When do you know to apply fertilizers and weed deterrents and when do you apply mulch as an alternative? In case you don’t have an answer to these questions and many more, let’s see what our Fertilization & Weed control Powell OH specialists have to say. 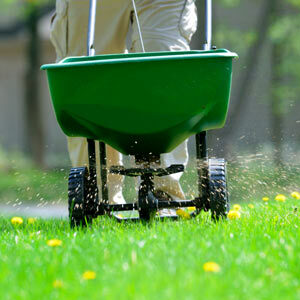 Why Do You Need Year Round Fertilization & Weed Control? This activity can be included in both lawn maintenance programs and landscaping ones as it provides the property with the necessary and fundamental requisites helping everything green to grow healthy and beautiful. What you need to know is that weeds represent a constant threat to your landscape from early spring to late fall. Some weeds lie dormant in the soil and you may disturb them and prompt them to spread. Some weed seeds are carried around by seasonal beneficial insects, pollinators, and birds. Some plants are more vulnerable to weeds than others, while some weather conditions also propel the sprouting and spreading of weeds. Vegetation assessment: some plants are more vulnerable to weeds throughout the seasons and they need a customized intervention plan. Our team factors in micro-ecosystem thriving on your property before implementing our specialized weed control program. We also take into account weather conditions, the environmental requirements of your area and the meteorological challenges you have to deal with all year long. We will then implement a program based on eco-friendly substances and tailored treatments so your children and pets are also kept safe. After the application of certain treatments we come back for follow up to learn how things evolve. If necessary, we adjust our interventions to ensure the health and thriving of your landscape. 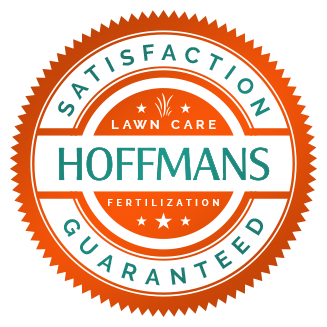 In case you need certified Fertilization & Weed control Powell OH treatments, give us a call right now and ask for a free estimate!